Camp NAWIC San Diego was started on the focus to present local high school girls with knowledge of the career opportunities that awaited them following graduation. 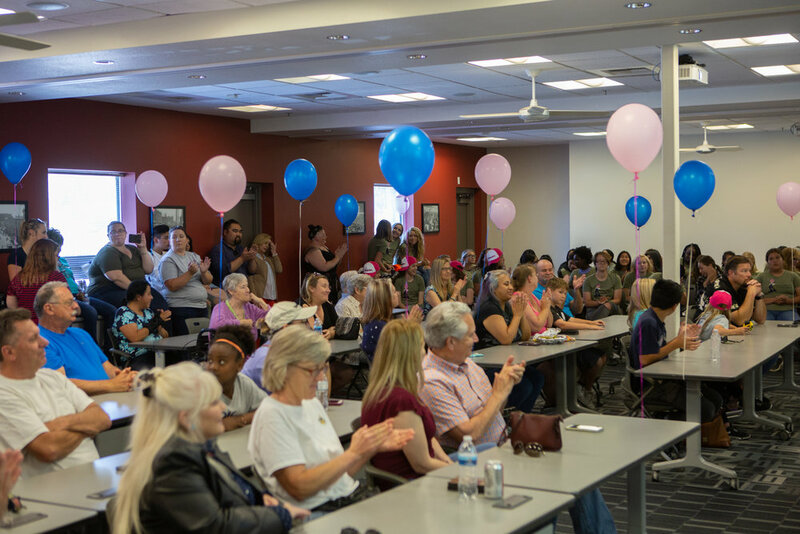 For 10 years the Camp NAWIC SD committee worked through the usual and not so usual challenges that arise when fostering new youth outreach programs, the 11th year came with its own new set of challenges: doubling numbers, new facility and a need for transportation. With our continued dedication to our campers, the committee set out to make things happen. Over the course of a few months we locked down a new, bigger, location: Associated General Contractors Training Facility, now, how to get everyone there? With the need to increase numbers and a generous donation from DPR Construction, we established four bus routes bringing in students from as far south as Downtown San Diego, as far east as El Cajon, and as far north as Poway. By May 20th we had 50 campers, we were going to make a difference. With 37 fresh minded apprentices and 13 returning journeywomen in a new facility, it was expected that Monday morning was going to be a busy one, but we were as ready as we could be. Continuing the tradition of a two tier camp education, the returning journeywomen were off to a new curriculum and new projects while our apprentices waited anxiously to see what this new experience would bring. To break the ice we started the apprentices with something we knew would ‘spark’ their interest. Thanks to our new facilities, we were able to teach each apprentice the basics of welding. 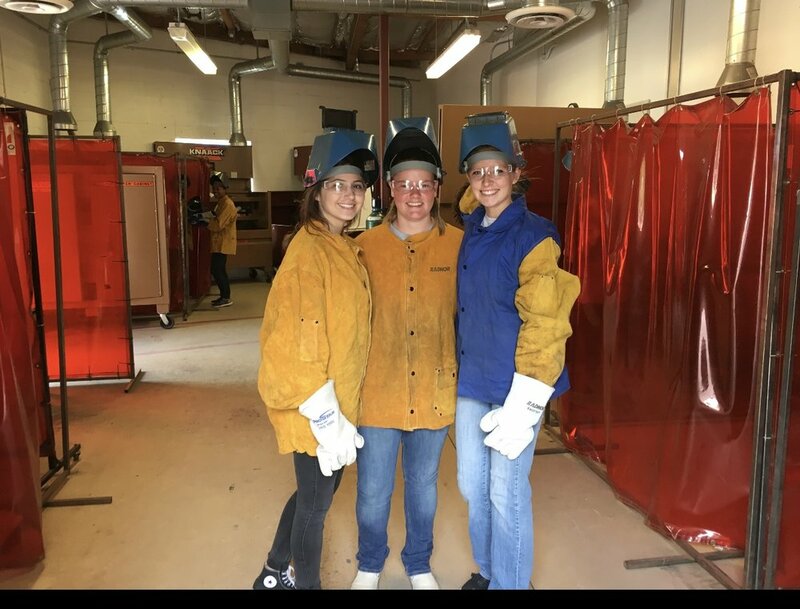 AGC instructors taught the girls basic spot and half-moon welds, and in their off time, campers worked on their basic carpentry skills building bird houses and bird feeders. Across the facility, our journeywomen were in for quite a surprise. For the first time in the camp’s 11 year run, our journeywomen were embarking on individual projects, plan reading and estimating! Each of the journeywomen were tasked with building their own dog house in a mere five days. The girls were also in for another treat; a Camp NAWIC 2008 Alumni was going to be their instructor for plan reading and estimating; talk about full circle! 4PM on Monday came quick, but by the end of the day we had hooked all our campers, they were ready and excited for the rest of the week. 7AM, Tuesday morning came early, but nothing beat the excited faces of campers as they arrived for another day packed full of new experiences. As the journeywomen went to work prepping and cutting material, the apprentices headed to their next lesson, sheet metal work. Members from the Sheet Metal Workers International, Local 206, came out and taught the girls about the abundance of ways sheet metal is used and finished their lesson by helping the girls make their own sheet metal roses. In the day’s spare time, apprentices got first hand fall protection experience. Learning how to put on a harness properly, climb up a scaffold and even using equipment to lower oneself into a manhole, which also included some confined space training. Day three, the journeywomen began the process of constructing their houses. With the help of instructors and volunteers, the girls learned to use new tools and saw their projects come to life right before their very own eyes. Across the facility, apprentices were learning the basics to electrical and solar trades. Members of the JATC, the International Brotherhood of Electrical Workers, Local 569, brought out wiring boards designed to teach the girls about wiring up lights and switches, and then finished off with some pipe bending lessons. Volunteers from Swinerton Renewable Energy also came out for electrical day, bringing solar panels to teach the girls how they work and the benefits of solar renewable energy. With half the week already gone, the journeywomen began to feel the pressure to start wrapping up their projects. With every passing day they gained new knowledge and perspective to the multitude of aspects that go into completing a project. Reading, investigating and deciphering drawings while making sure they remained productive and worked diligently to meet their daily goals. While the apprentices did not have a grand project that they were working on, they were met with their own challenges. On Thursday, volunteers from Countywide Mechanical Systems, INC. came and taught the girls the entry-level ins and outs of plumbing. The apprentices learned all about sinks and toilets and even got the opportunity to test their skills in groups as they raced to take apart and put back together toilets. The end of every camp always feels a little bittersweet for those of us who work to put it together. Each year you walk away hoping that you’ve made a difference; you tell yourself, "if I just helped one, it was enough." This year’s camp was full of challenges just like any construction project, but we faced them, we worked through them and when we looked back on the camper’s reviews, we were reminded of why we do what we do. Camp NAWIC 2018 was truly a game changer in bringing construction career knowledge to local high school girls and we cannot wait to do it all again next year. Together, we’re making a difference.